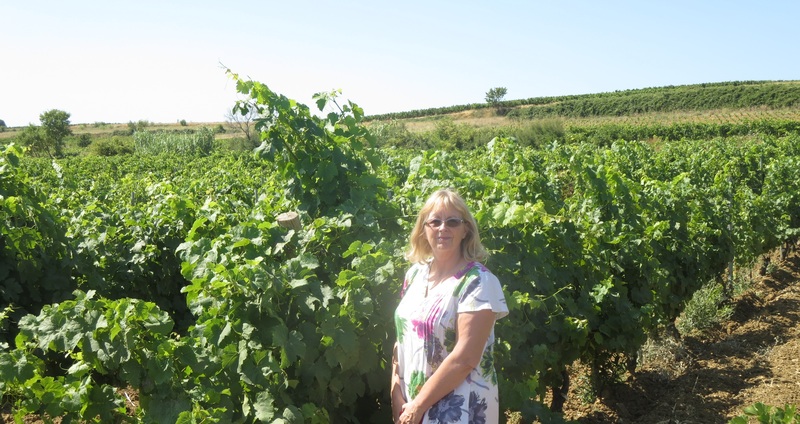 After 3 weeks in the UK I was keen to see how the vines had developed in the meantime. I was aware that there had been a real heatwave with temperatures in the high 30s every day (even the UK was hot for a few days!) 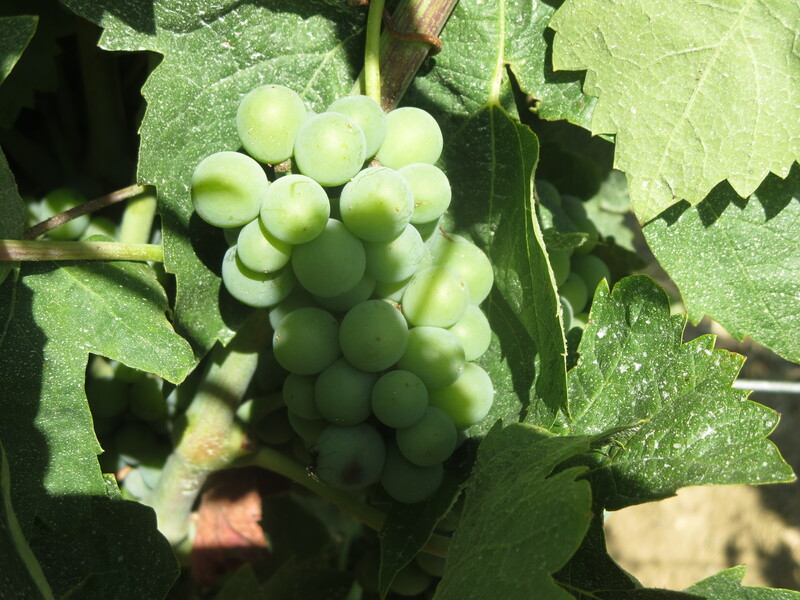 but there was little sign of stress in the vines, they are green, voluminous and with some big bunches of grapes. 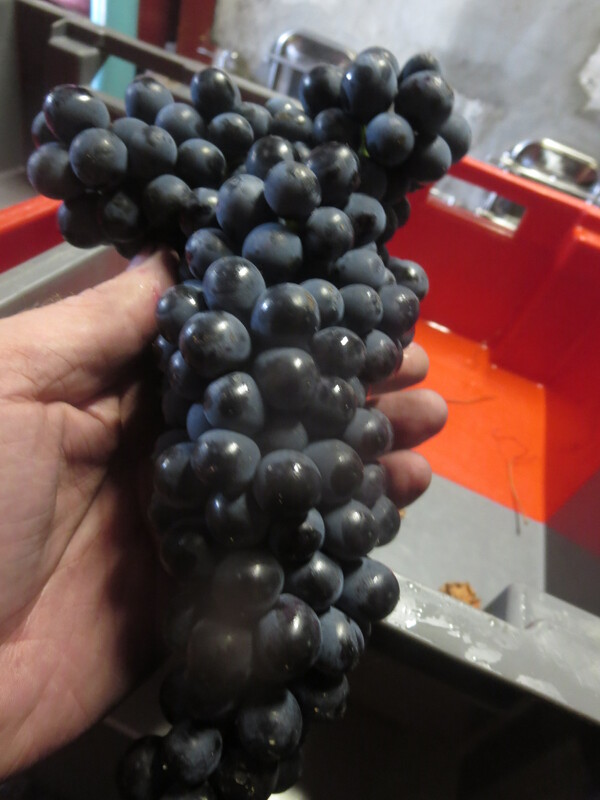 Indeed the grapes are now at around 50% of their final volume and the bunches are closing up with the berries touching each other. 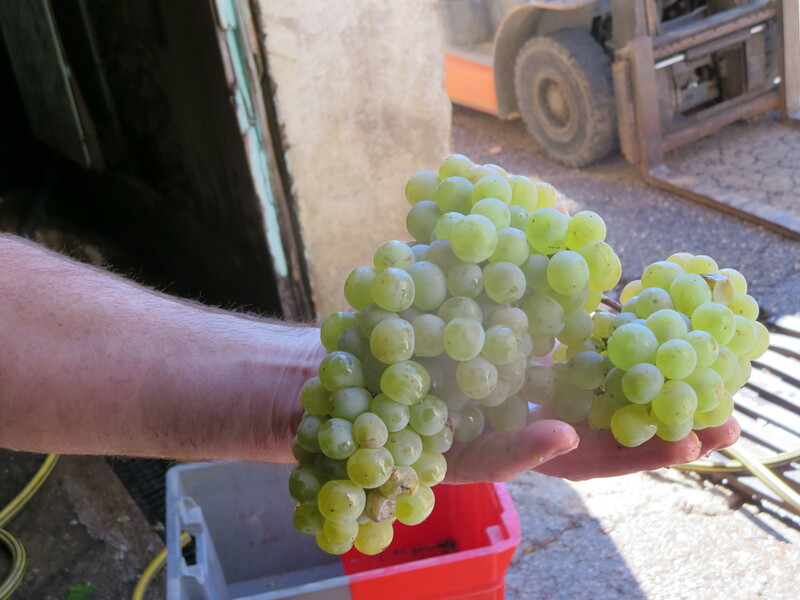 Jeff’s latest estimate for the main harvest is that it will start around August 23rd, a fairly typical vintage in that respect. I did notice that Jeff had been busy with a further ploughing. This is partly the consequence of the dry weather. 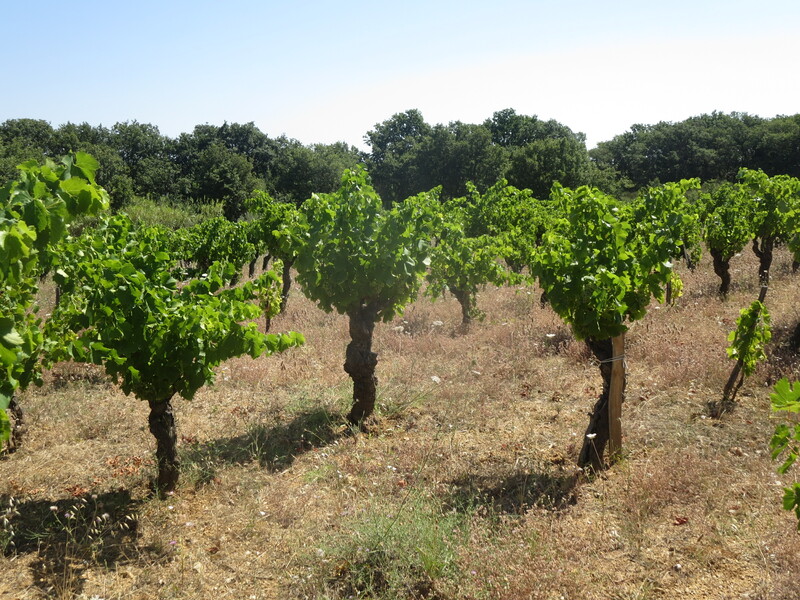 Weeds and other plants amongst the vines offer competition for resources such as water and when it is so dry as 2015 (following a generally dry 2014) the vines could have been stressed so ploughing was deemed wise. There has also been some oïdium (powdery mildew) in the the last few weeks and, indeed, for much of this growing season. Therefore there had been some spraying of sulphur and the oïdium is under control. 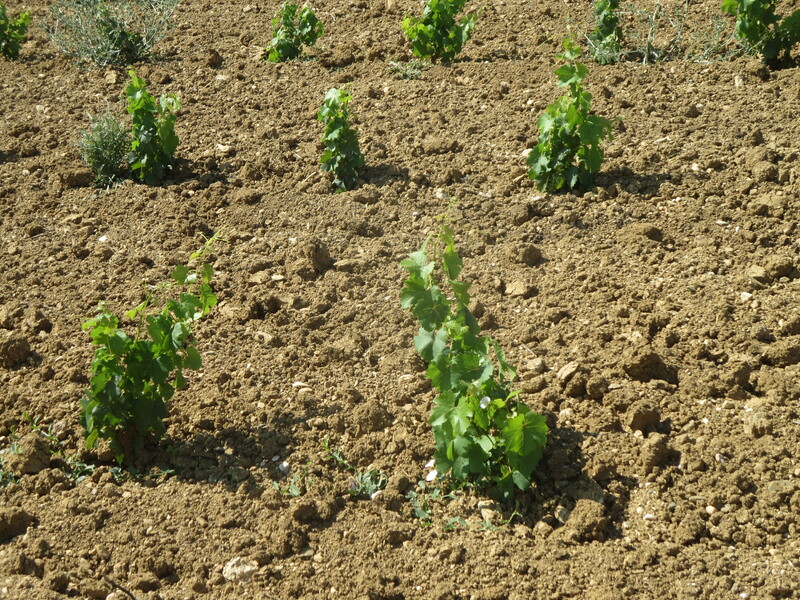 The main change in the vines was aoûtement. This is where the stems of the vines are starting to harden and turn to wood, lignification. The stems turn a reddish brown colour as can be seen in the photo below. 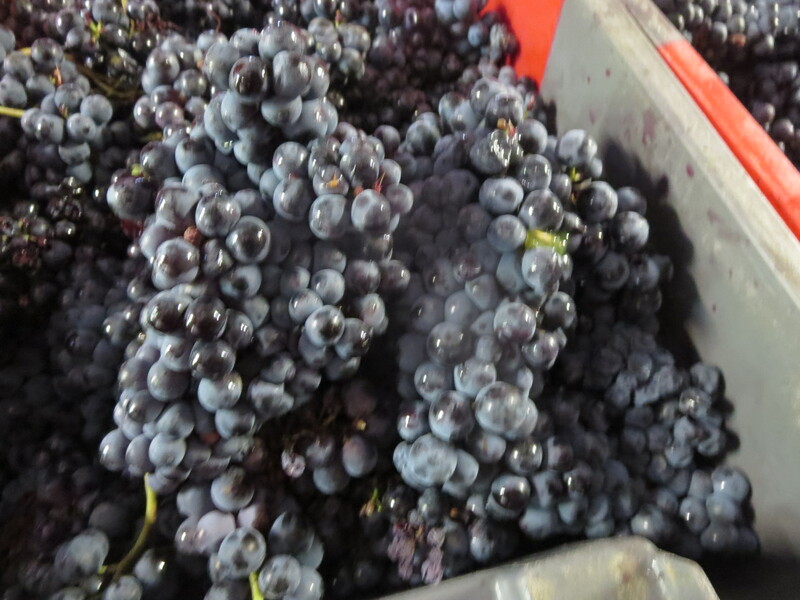 The pips in the grapes are also now firm. 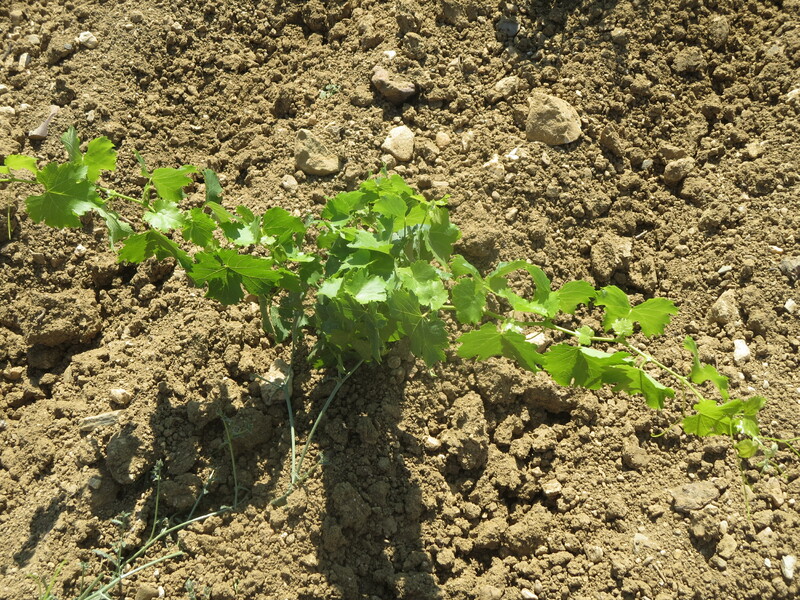 Vines can effectively feed and support between 100 and 200 grapes. 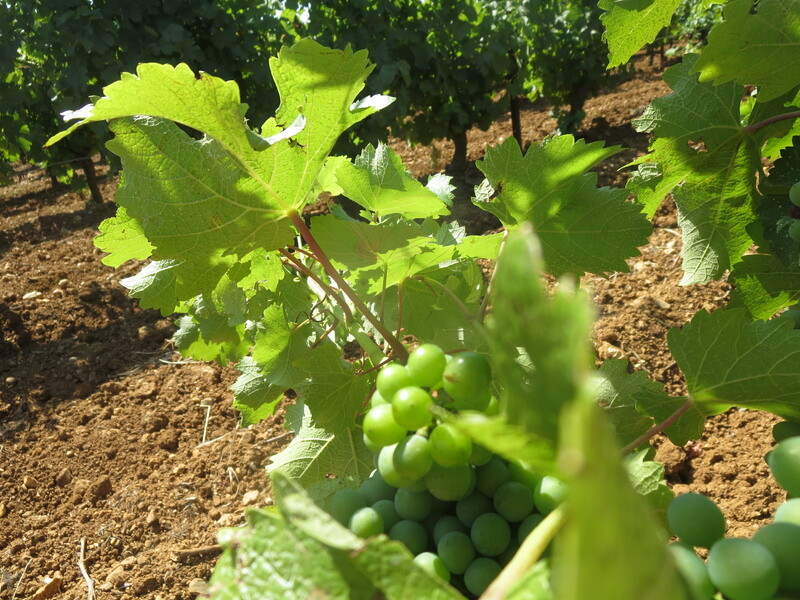 They produce more in case of damage and therefore many vignerons will be in the vines carrying out a green harvest, éclaircissage, where they cut off leaves, stems and bunches so that the number of grapes is limited to help the vine to provide optimal development. 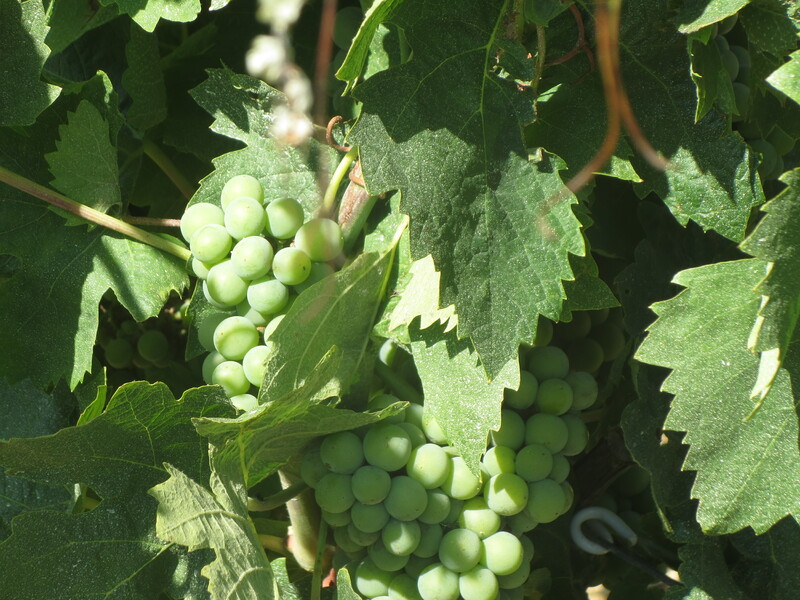 Normally this would be done on the side of the vine which is least exposed to the sun as the foliage is needed on the more exposed side to protect the grapes from too much direct sun. Ironically this process has not been needed at Mas Coutelou so far because of the earlier damage of coulure. (see previous post here). 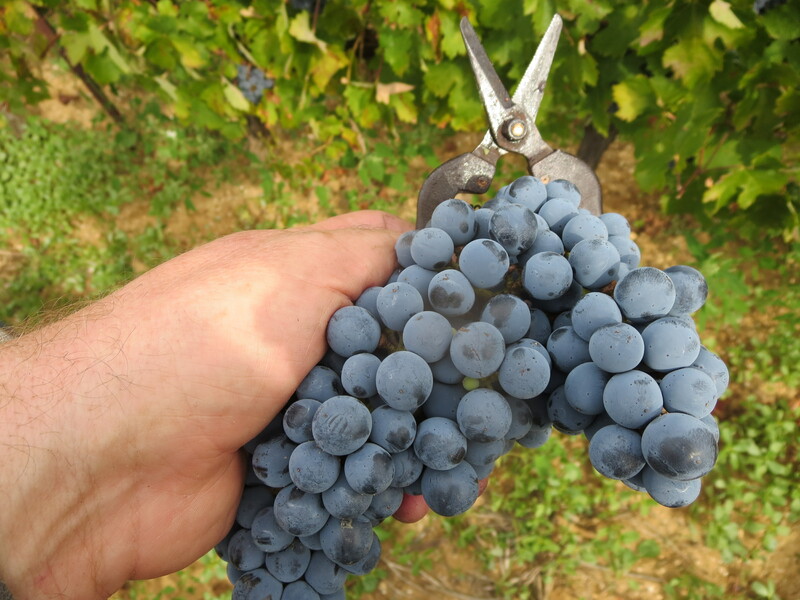 This reduced the number of grapes which developed by around 20% in some vineyards, so green harvesting is not required. 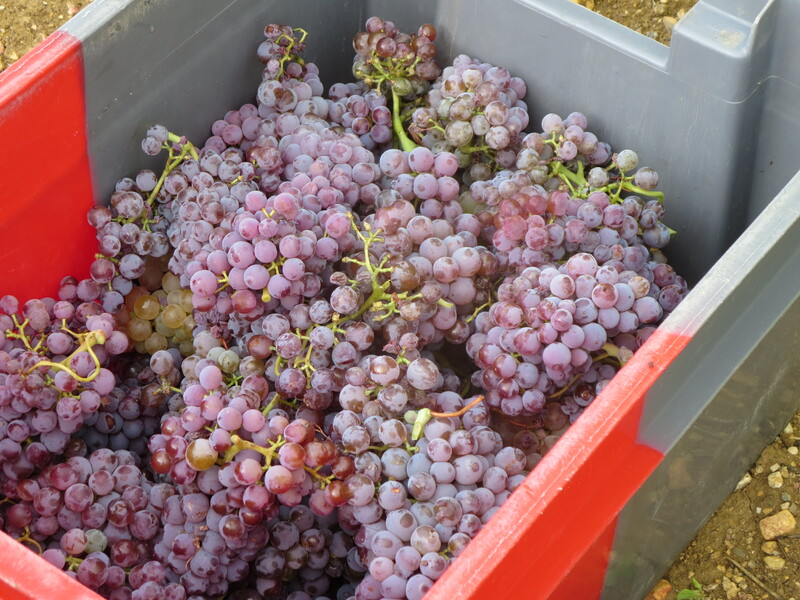 There will still be lower quantities of grapes harvested this year, coulure is bad news for the vintage supply and some cuvées will be missing. 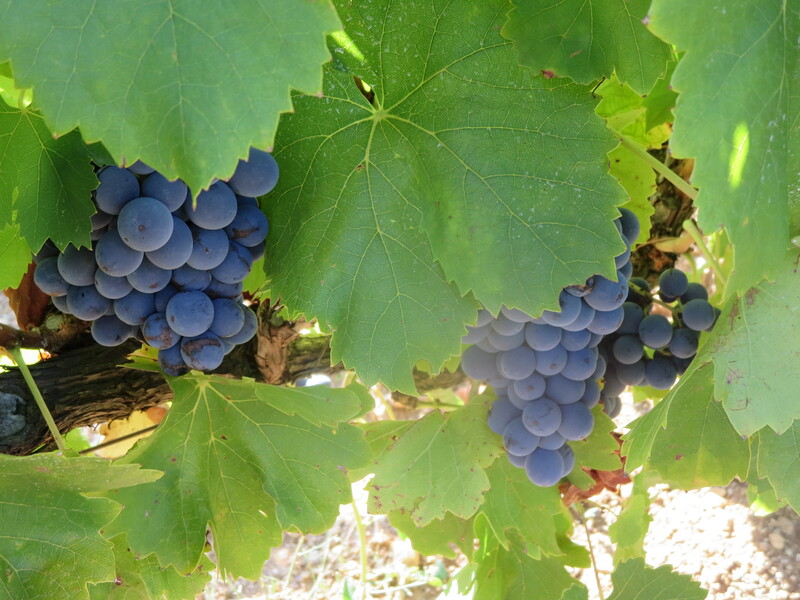 Overall, however, the vines are in good health and preparing for the final stages of their annual growth cycle. 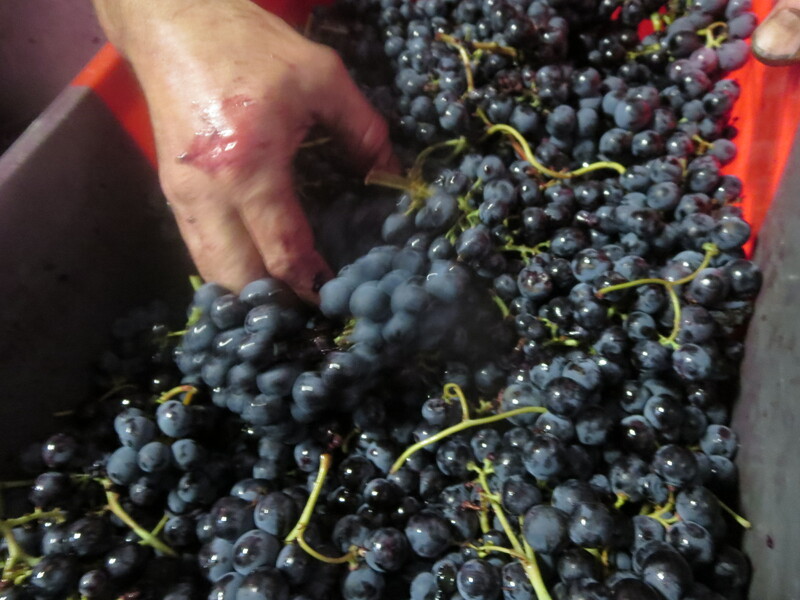 Rain would be very welcome, reducing the risk of stress and also helping the grapes to swell and to produce more. We didn’t even bring any back from the UK! Maybe the 14th July celebrations will bring some. 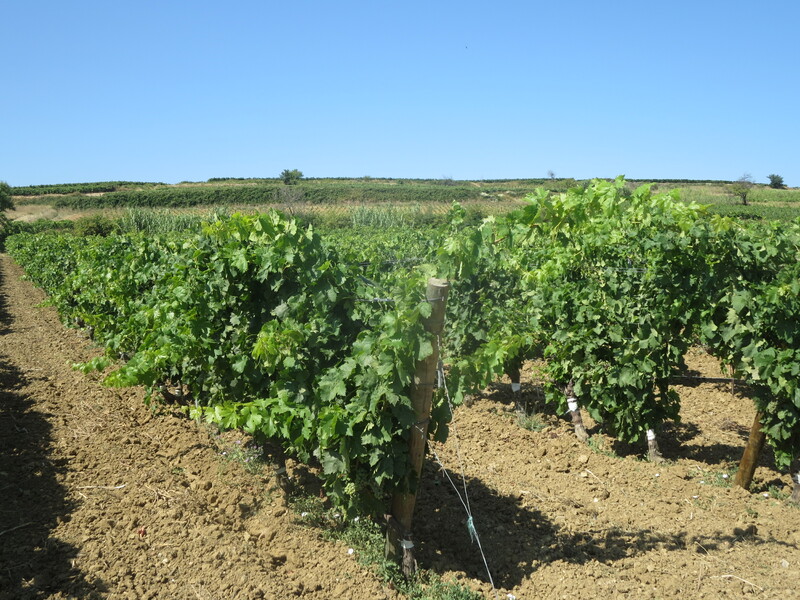 If you listen to the video below you will hear that the cicadas in Rome vineyard are apparently already celebrating! 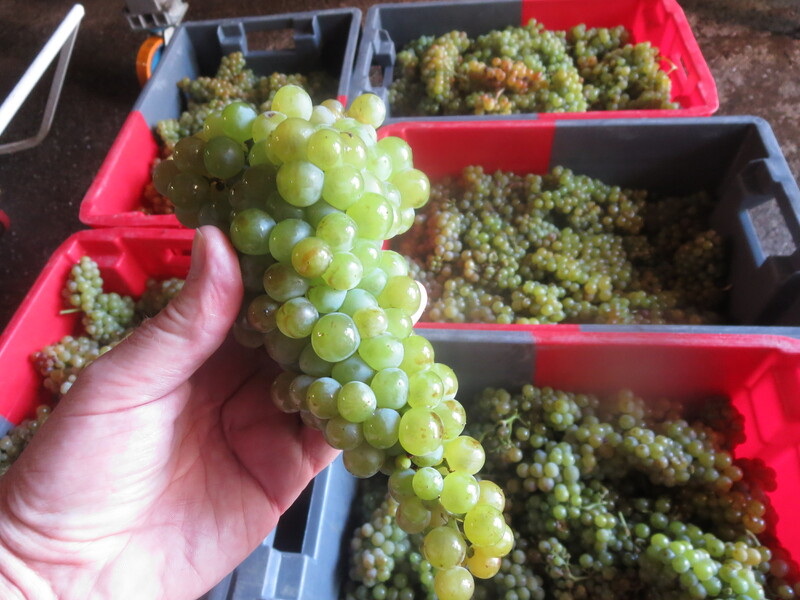 It’s hot here in Bernkastel too and, advanced as the vines are, the grapes are nothing like those (wow!). Hope England was fun, but hope you are glad to be back in France too. Both of those David! How long are you in Germany? I brought some Schaefer Rieslings back as it was too long without a good Mosel the last time I was here. Enjoy!